Great tyre, faster and more comfortable than the rubino G+ on there before and big enough to tempt me to take my caad12 off road! Tight fit on rim but could pump up tubeless tyres with a foot pump. 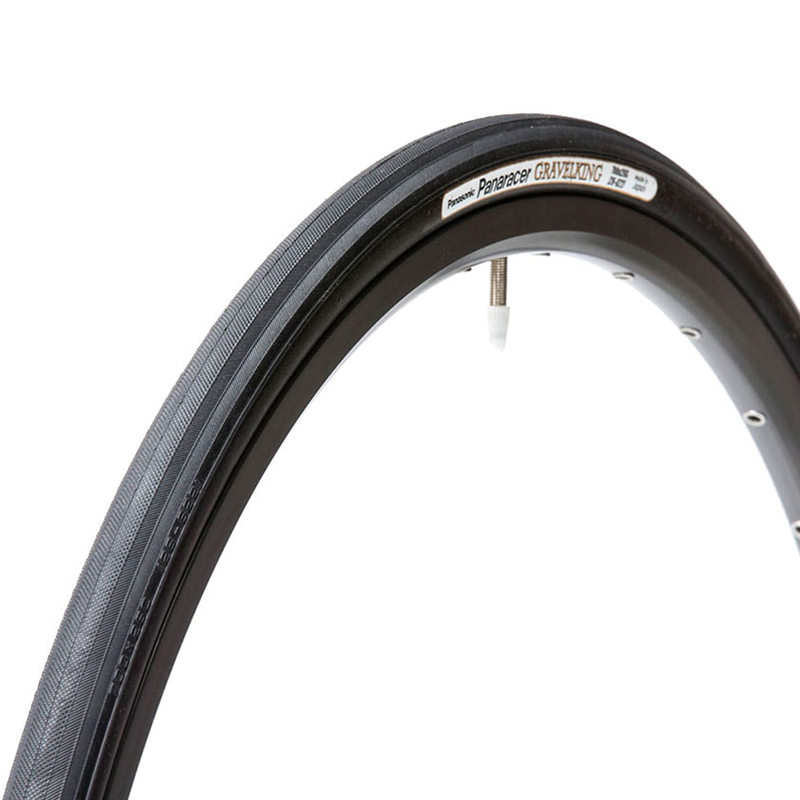 Realy smooth riding tyres which have good grip in wet or dry conditions. We be interesting to see how they wear. Changed from Conti Gatorskin Hardshells to these and have seen an instant improvement in rolling resistance. I changed to the Gatorskins from GP 4 Seasons at the end of last year after a spate of punctures but couldn't deal with the "dead" feel. No issues so far on grip or puncture resistance, but they have survived ~80 miles of rubbish, cold, wet Chilterns roads without issue. Really tight to get on my Zonda disc rims so not looking forward to a roadside tube change. Wow these are so much better than I ever anticipated. I tried them on the cycle path this weekend (30km) in snow, ice and mud and was totally blown away by the grip and security they offered. They are comfy on the road too (28mm) Excellent. I got the 38mm 700c versions. They went onto my 19mm internal rim width rims with some difficulty, and my impression was that int of the 4 beads was quite a lot tighter than the others - indeed I did get a pinch flat:( once this was replaced the tyres are great, seeming to roll really well - in fact to roll in a similar fashion to an 'endurance road' tyre - the michelin pro4 endurance 28mm has very similar ride - the main difference being that you can drop a fair amount of the pressure. I can''t comment on puncture resistance. My 2 tyres are within a few grams of the published weight. The casing was supple and felt well made. Lastly, the set I got ARE tubeless compatible. I haven't tried this out yet. I had asked merlin out of interest whether they would be tubeless compatible before buying, and was told no. In fact looking at the website there doesn't seem to be gravelkings in this size that are not tubeless compatible, suggesting that if you order these you can expect them to be tubeless compatible - no matter what merlin says. Wow. I can fit these on my old road bike (2006 Giant OCR C2, long reach calipers etc) without problems. Roll much much better than I was expecting. Actual width on 19mm (internal) rims is about 33mm and I think I'm going to settle on 60psi front, 65psi rear. Very tough to fit, but it looks nice and it rolls nice. No punctures yet. My 38s run a fair bit narrower than 38mm on a 19mm-wide rim so I guess if you are worried about clearances it's safe enough to assume they run narrow unless you are ballooning them up on a very skinny road rim. Excellent puncture resistance and relatively supple. A poor mans Compass Tyre, but better suited to gravel application with a thin layer of protection. Excellent grip and control all gravel surfaces bar mud/grass or more technical single track. Much better feel on pavement or gravel/hardpack than other small knobbed tyres. Rolls well on asphalt and smooth gravel. Light and feels fast while maintaining comfy riding feel. Pretty nice tires with great attention to detail. Fast rolling and good grip. Absolutely fantastic tyres, but damned hard to get on! Prepare for bleeding fingers, scarred hands, and expletives ringing from the mountains as you try to get the bead seated properly. Once they are on, however, you might well - like me - be so smitten by them that they might just be the only tyre you buy in the future. I don't think I could ever go smaller than 38c now! Having just got back from a 10 day bike packing adventure in the Highlands and Islands on them, they provided fantastic rolling speeds thanks to almost no tread, but loads of confidence in the wet and dry, and the volume to soak up a tonne of bumps. I didn't get a single puncture in my 10 days of 10h of riding, and took them on some pretty shoddy 'roads'. Cant wait to get them back out again and go for a spin tomorrow. Remember to ride them with a low PSI to really feel the benefits of the volume though. Roll really well on tarmac and gravel, grippy on the corners, faster than my slicks good buy! Contrary to other comments, these tires are easy enough to put on. It comes down to technique. I found it quite hard the first time but after watching a video about mounting tires without tire levers, could do it just with my hands the second time. This tire replace the Compass Bon Jon Pass tire. Definitely not as supple as Compass but good enough for half the price. These are excellent. I've used them in 32mm and 38mm and they're fast-rolling, grippy, comfortable, durable, puncture-resistant, cheap and lightweight. The 38mms I've got now are tubeless and only weigh around 320g. Highly recommended. These tires are fantastic! Where I live the roads are rough. The extra air volume and supple rubber add quite a bit of comfort to the ride. The black/tan tyres look great & they roll well in the wet & rough. As mentioned in another review they are difficult to put on & I was unlucky enough to get a glass/flint puncture on my first ride......but they do look great. Lovely tire, only he few rides in, but loving the supple feel and grip. Fast enough for rapid commuting and general riding on varied surfaces. Not a "gravel" in that it would grip on really loose stuff, but good enough for what most roads bikes will see.